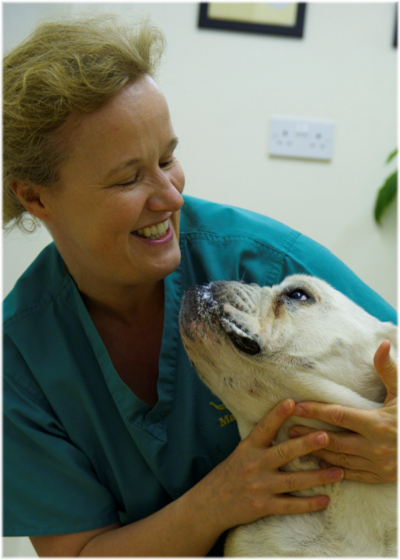 Viking Vets - Amy Hosie - Your local vet based at Chevening, Station Road, Henbury, Bristol BS10 7QQ. Amy joined the team in June 2016 as a veterinary surgeon, job sharing with her husband Andy. 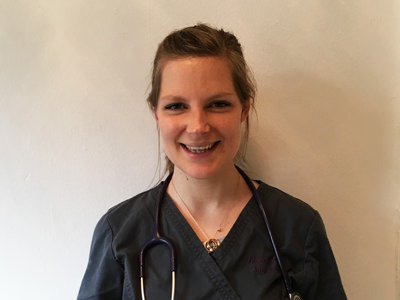 Amy qualified from the University of Bristol in 2008 and in 2013 took on the role as lead vet with her husband Andy in a veterinary practice in Dubai where they helped manage and establish a new practice. Her main interests are in medical cases and ultrasonography, and she has a certificate in internal medicine. In her spare time Amy is kept busy with her daughter Elia and also enjoys practicing Ashtanga yoga. She loves walking their four-year-old German Pointer Hattie (and now Elia’s toy Dalmatian Dot!) She is currently expecting her second child.